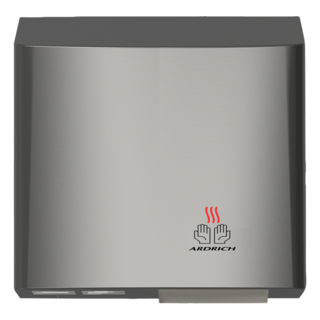 Our revolutionary antimicrobial infused components inhibit the growth of microbes including staphylococcus and E.coli. of microbes including Staphylococcus and E.coli. - Fully Automatic Infra-Red Operation. 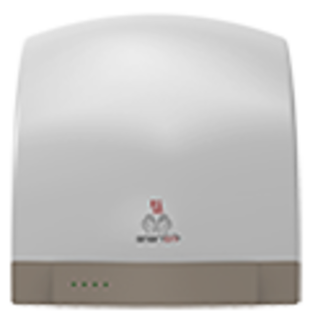 - Energy Efficient - very low operating cost. - Long Life Motor and carbon brushes. Size: 273mm high x 256mm wide x 173mm deep. 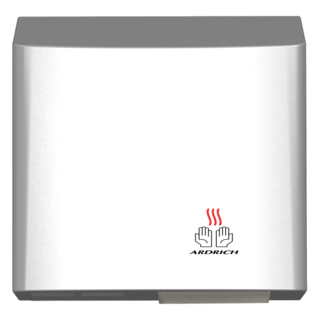 Hand dryer is double insulated and does not require earthing. Hand dryer is provided with a supply cord and plug. Dryer may be fixed wired. SAFE SURFACES. Our revolutionary antimicrobial infused components inhibit the growth of microbes including Staphylococcus and E.coli. Components are manufactured from special resins using EPA approved silver ion technology that infuses plastic parts and coatings with antimicrobial properties. 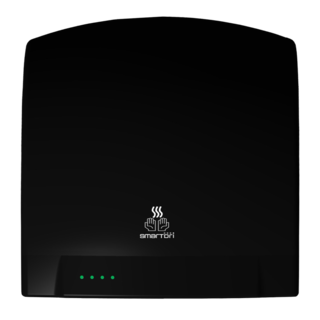 Black Hand Dryer with Dry Time Indicator. Metallic Silver with Black Base. 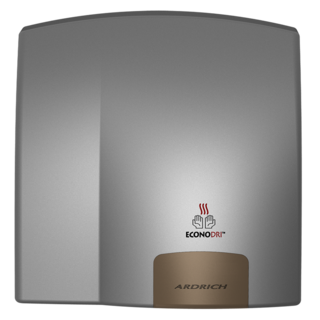 inhibit the growth of microbes including Staphylococcus and E.coli. 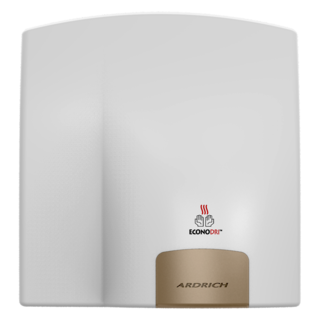 Size: 220mm high x 210mm wide x 163mm deep. 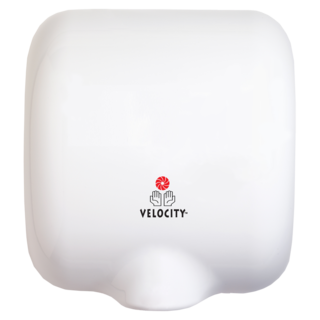 Velocity dries hands completely in a matter of seconds blasting a high velocity air stream onto your hands. 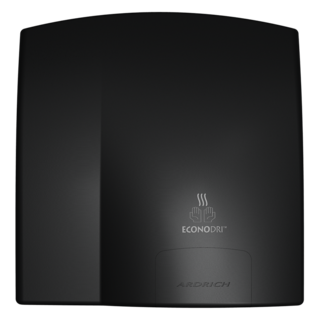 provides you with significantly lower costs than paper towels. 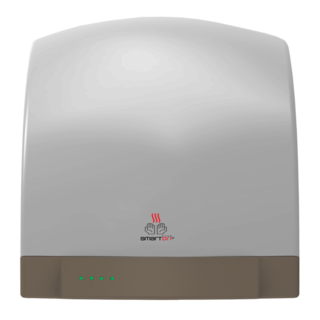 Touch-free, inlet air filtration, anti-bacterial treated plastics and no soiled paper towel litter. Velocity is the best option for health and well being. Keep your cost to a minimum with Velocity. 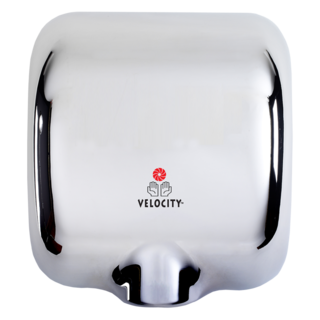 Velocity provides you with significantly lower costs than paper towels. 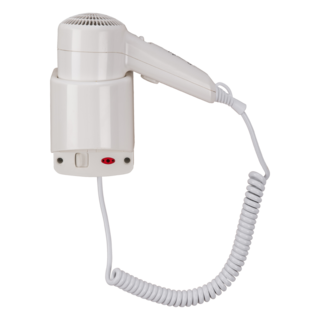 Perfect for hotels, motels, spas, gyms or the home. Plugin or connect to fixed wiring.